Do We REALLY Appreciate Our Public Lands? 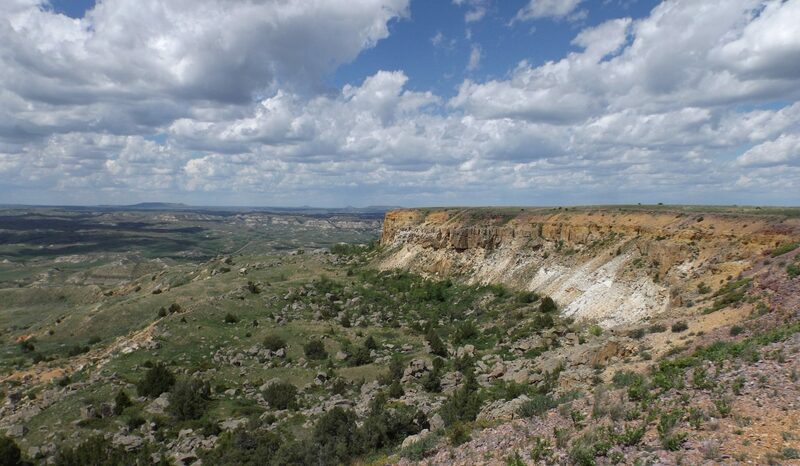 My monthly column in Dakota Country magazine is dedicated to conservation and the protection of our Western North Dakota public lands, especially the Little Missouri National Grasslands and Theodore Roosevelt National Park. I’ve been traveling this winter, and I’m going to share some thoughts on public lands and national parks this month. But first . . . In the January issue of Dakota Country I had a short article (well, short for me) about a new plan for management of oil development on the National Grasslands, and the Environmental Impact Statement that was being drafted for that plan. The U. S. Forest Service, which manages the Grasslands, had planned to have public comments received and analyzed and to be approaching a draft Record of Decision on that plan by now, but a government shutdown in December and January threw a monkey wrench into their plans. As I write this in early March, there’s still a lot of work to be done on that plan. We’ll probably have a more complete story on it in the May or June issue of Dakota Country. It’s important we keep track of this, because what the Forest Service decides affects our use of more than a million acres of public lands in western North Dakota—land we own and share in its uses: recreation for us, and cattle grazing for the ranchers who live out there. And for the generations that will follow us. But first, let me share some thoughts on what I’ve learned in my winter travels. I spent the month of February on mostly public lands in the southwest part of the United States, with my wife Lillian, who was raised on a ranch in the North Dakota Bad Lands near Rhame. Much of our time was spent in the desert of southern California and Arizona, where (we had been told) people went to golf and lounge around the pool in February. Arizona didn’t get the memo this winter. We seldom “got out of the rain,” or the snow, or the wind, or the sub-freezing temperatures, for that matter. One camping trip was cut short by the cold desert wind blowing over our tent, sending us in search of an oasis, which we found near Palm Springs. A couple others were canceled completely because the roads to the campgrounds were closed by snow. And a couple mornings we awoke to frost on the tent, so we made coffee and sat in the car staring at our smart phones until the sun came over the mountains and warmed up the campground. Finally, after waking up in Santa Fe to six inches of snow, we headed home, where, we discovered, the snow was 12 inches deep. Oh, well, it’s March as I write this, and spring will surely come soon. But on our winter trip, instead of the 70s we expected, as witnessed by the profusion of short pants and tee-shirts in our suitcases, daily highs were generally in the low 50s, and lows in the low 30s and high 20s. I wore the same two checkered fleece/flannel shirts most of the trip. The Dakotas were not the only place experiencing an unusually cold winter. Our climate is changing everywhere. When we did get to visit the national parks we had set out to see (three were closed because of snow), the rewards were great. What we found there, is a deep appreciation for those special places, some of America’s most spectacularly scenic and historically significant sites and landscapes. As we talked to park rangers and visitors, I got the feeling there is something missing in North Dakota’s attitude toward our valuable public lands and our treasured national park, dedicated to that great conservationist president, Theodore Roosevelt. I mean, Damn! Our greedy politicians are about to let a greedy oil company put a refinery next to that park. On our trip we visited with Americans from many states in those desert southwest national parks and monuments, some sleeping in tents on the ground like us, but most traveling in big tin cans with four wheels, the driver sitting ten feet in the air, or pulling smaller tin cans behind SUV’s or pickups. While some watched TV courtesy of the small satellite dishes they traveled with, others, like us checked the hometown newspapers and our e-mail on our cellphones at our picnic tables while enjoying the outdoors. One lady even wandered over to our cozy campfire one night and expressed dismay at our plight in a tent, asking if we had an electric heater in there. We explained that three layers of down comforters were just fine to keep us toasty, although we struggled a bit to get up and make coffee in the morning. But these national park visitors had one thing in common with us: they had come from all over America to see our country’s natural wonders, like Joshua Tree, Channel Islands, Zion and Great Basin National Parks, and Organ Pipe Cactus, Coronado and Cabrillo National Monuments, and to soak in the culture—pre-historic, historic and modern-day—of some of our country’s greatest stories. And always, there was respect for the rules and regulations posted by the NPS to ensure that agency’s mission–to preserve, unimpaired, these natural and cultural resources and values for the enjoyment, education, and inspiration of this and future generations. The spectacular landscape of Joshua Tree National Park resembles, on a somewhat larger scale perhaps, the landscape of Theodore Roosevelt National Park. Yes, that’s a climber on top. No, it is not me. And not all the visitors had come from a long distance, as we had. Some were relative “locals,” enjoying their nearest national park, like we enjoy Theodore Roosevelt National Park at home in North Dakota. At Joshua Tree, in southern California, for example, we camped beside three young men who had come to “escape the city” of Los Angeles. Artur Nazarian, Eric Ovasapyan and Mike Nazlikian, all in their 20s, are first generation Americans, whose parents were all born in Armenia and fled that war-torn former Soviet Republic, settling in the greater Los Angeles area. All three have secure jobs in L.A, but come to Joshua Tree and other national parks, such as Yosemite, to get away from the city. The three young men, who seemed in awe of the landscape of their national park, and the refuge it offered them from the busy city their parents had settled in, set up camp beside us, built a huge bonfire, roasted “Armenian barbecue” on large skewers resembling swords, and invited us over for tequila shots at sunset. We enjoyed them immensely. We had a serious discussion about camping, and parks, and getting away, and I told them of the threats we faced back in North Dakota, with Meridian Energy’s plan to build a refinery just three miles from Theodore Roosevelt National Park, in North Dakota’s Bad Lands. How would you feel, I asked them, if someone built a refinery just down the road from the gate of Joshua Tree? New Fortunes are Being Made Today. Stock projected at $30 within a few short yrs. WOW! I thought! I could triple my money! Call Now, or Sign Up for our Free E-Mail Newsletter! Thanks for joining us. Stay tuned for news and updates delivered straight to your inbox. Well, that was in mid-February. I’m still waiting for “news and updates” to be delivered straight to my inbox. But I’m not holding my breath. I think somebody there might have recognized my name, or reads my blog or Dakota Country magazine. My hopes of tripling my money and making a new fortune are fading fast. About as fast as my hopes that North Dakota government leaders and regulators will find some sense, some morning, over their breakfast cereal and call a halt to this madness of somebody making a fortune by putting an oil refinery next door to Theodore Roosevelt National Park. Previous postWhat Does A State Treasurer Do, Anyway? Thanks for your thoughtful analysis of the status of public lands in ND and the US. In January and February 2018, we traveled around the Southwest visiting National Parks, Monuments and Historic Sites, national treasures all! I’m deeply concerned that the actions of politicians from my home state of ND are allowing a refinery to be built next to TRNP. Can we not have some places not being torn up and ravaged by oil companies for short term profits at the risk of long term consequences? This disregard for public lands for the good of all is making me rethink traveling back to ND to enjoy the wide open spaces and beauty. The stink of flared gas in some parts of western ND are enough to make go someplace else where they value the natural world. Ok, I’ll relinquish my soapbox! Hey Jim, growing up together a few blocks apart, I too appreciate the natural beauty of all those places. Even Mirror Lake once it was dredged. Enjoyed talking with you back in the days at the Capitol Cafe about our younger days in Hettinger. And George Sinnner? He did have the the best interests of the peeps of ND. So, let’s not continue to beat the Democratic Drum so much. It ruins the beautiful story you wrote. Not all Republicans are evil. Just not a Socialist like you. You can get more folks on board if you take the politics out of your well meant blogs sometimes and focus on the concern more. Had to laugh though regarding your unfortunate weather. Picked a bad year to go South. Seems they received a bit of ND weather as well. Can’t go anywhere anymore and count on weather. Climate Change I bet. Gotta be….. LOL. I do however agree with you that placing an oilfield next to the beautiful Teddy Roosevelt Park is bad. Real bad. We can find better places. And there are better and more remote places to purge the earth of the oil God left for us. Don’t agree with the stuff they are doing on the big lake either. Greedy? maybe…. But, if enough people like yourself can garner enough support to get the ND Legislature to see the Forest from the Trees, I’m on board. But, sorry Jim, that’s as far as I can go agreeing with a neighbor. But good luck . And thanks for your Blog and still a true North Dakotan. Oh yeah, you may soon be simply a Dakotan if some whack in SD could have his way. The earth moved a little when Rick and I agreed on something. Jim, I’ve got a pretty nice shot of Joshua Tree scheduled in a few weeks. Watch for it. I wonder how many people remember Art Link’s statement. He was born before his time.